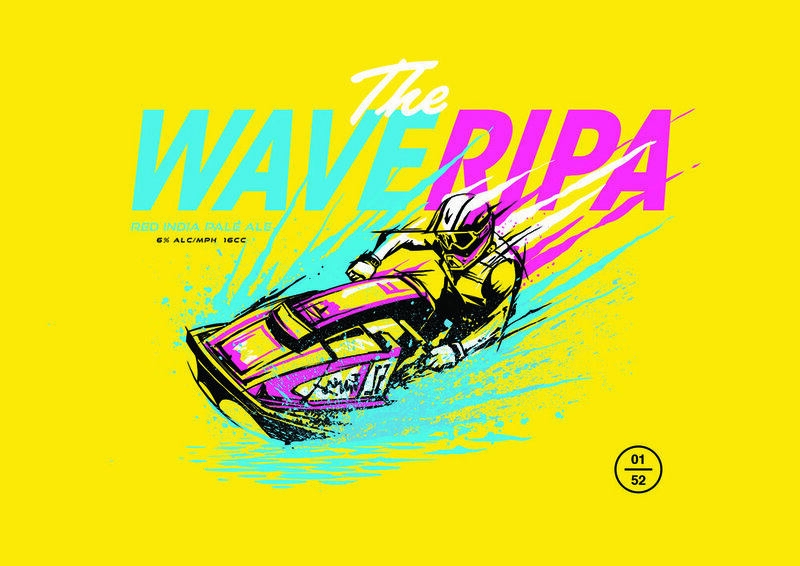 A couple of my favorite pieces from an 80s themed series of invites, Erik Weikert and I created for CNN’s SXSW parties. 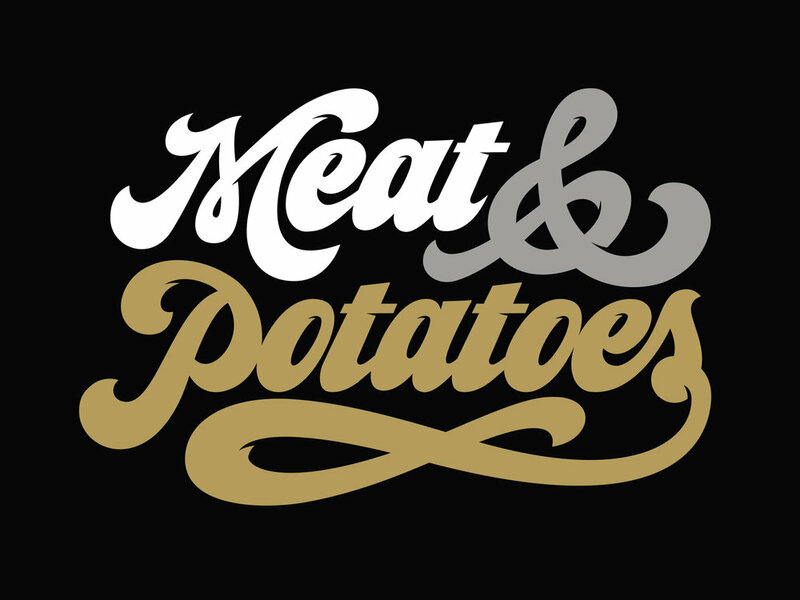 I had a blast creating some chunky type for (Boston based) Lord Hobo’s new dinner stout called Meat & Potatoes. 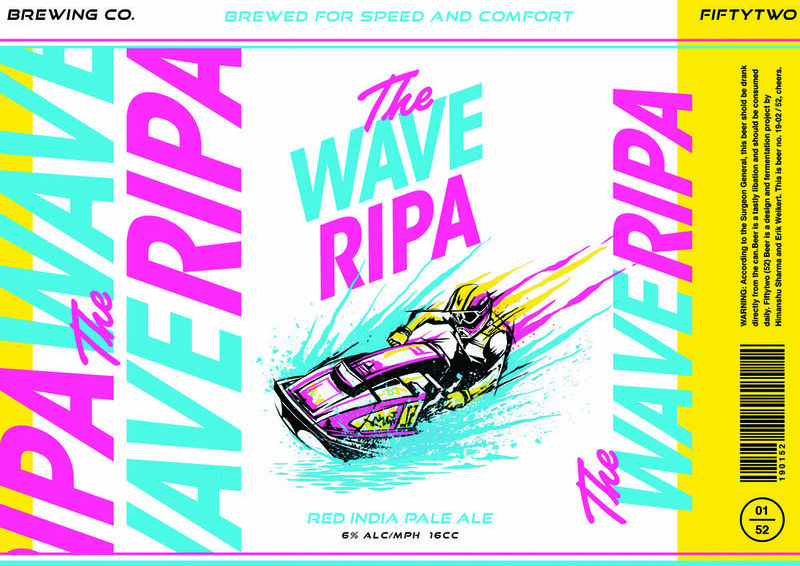 My good friend Ben Whitla is the art directed the design and I was really happy with how the end product turned out. Now if i can get someone to send me a case or five to Texas. Cheers! Finally got to put this illustration to good use. 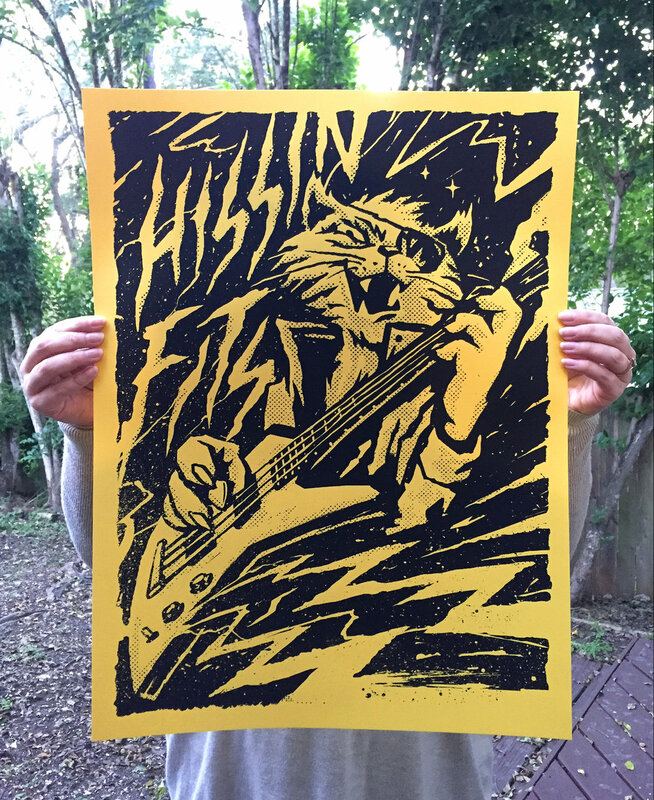 Got some one color prints made from Fine Southern Gentleman for Afterhours poster show in Austin. The profits from the sales will go to Kids In A New Groove The show is on November 9th at the Wright Brothers Brew & Brew in Austin. Go buy some prints! Another one for the good folks at SELECT up in Vermont. This time it was for the band WEEN. I was asked to take lyrics from one of the songs “Mushroom Festival In Hell” and incorporate it into the design of the tee. I had a lot of fun with this one, and really happy how it turned out. 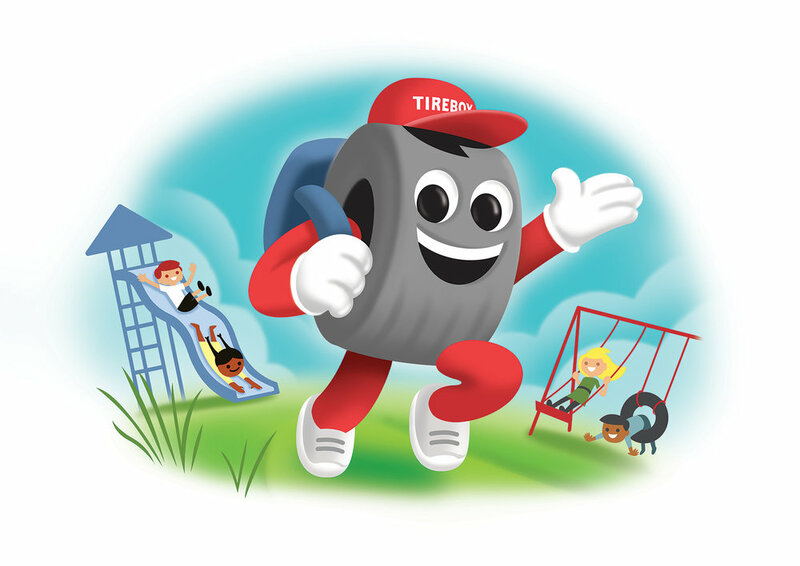 The great folks at SELECT reached out to me to work on another fun project. 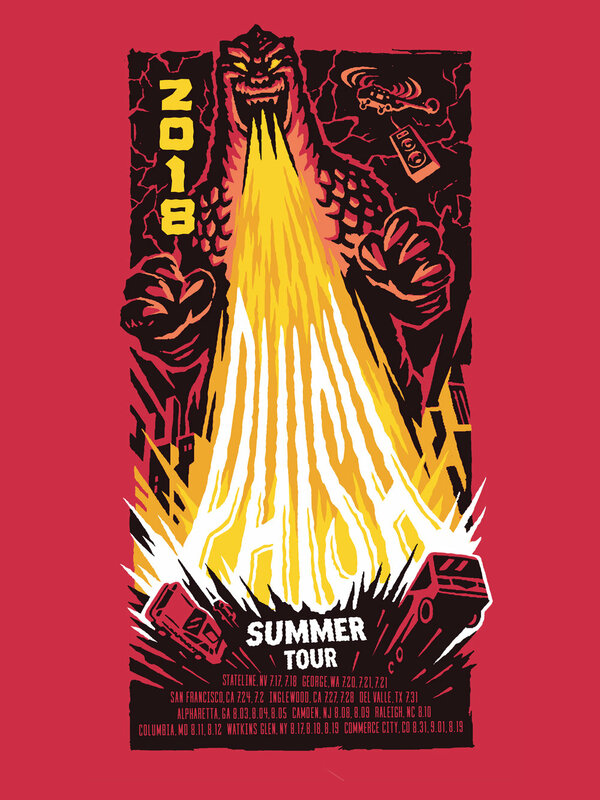 I was asked to illustrate a T-shirt graphic for The Phish 2018 Tour incorporating Godzilla in a B movie style render. Don’t temp me with a good time. 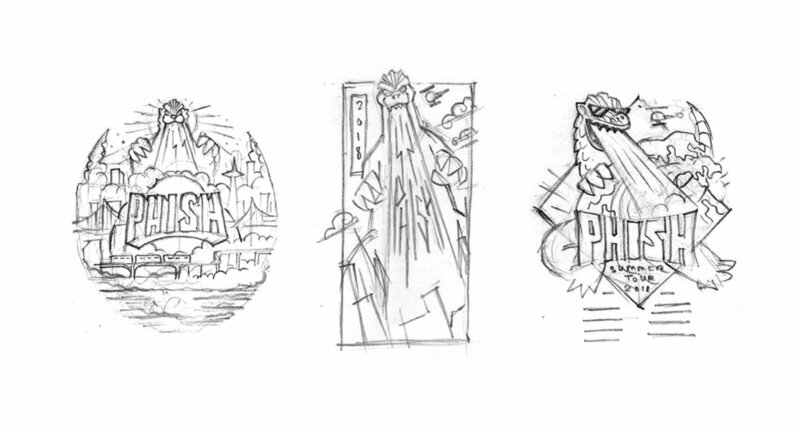 My favorite part of the whole process is always the first sketch idea presentation, this one was one of my favs. 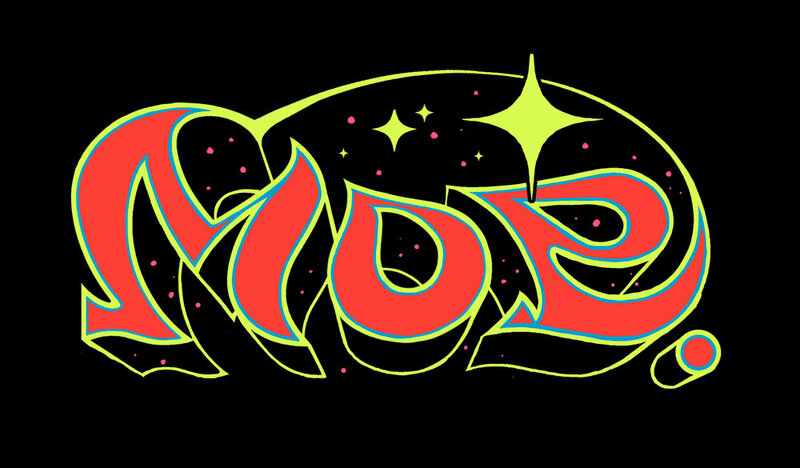 Pic one up at the official Phish Dry Goods site. My good friend Steve Stetson of the band Gold Crayon asked me to create a mark for there latest album. This was one of the last 15 min Monday morning type jam that we did, and probably one of my favorites. Did a quick flyer for a home town creative meet up. See y’all there! 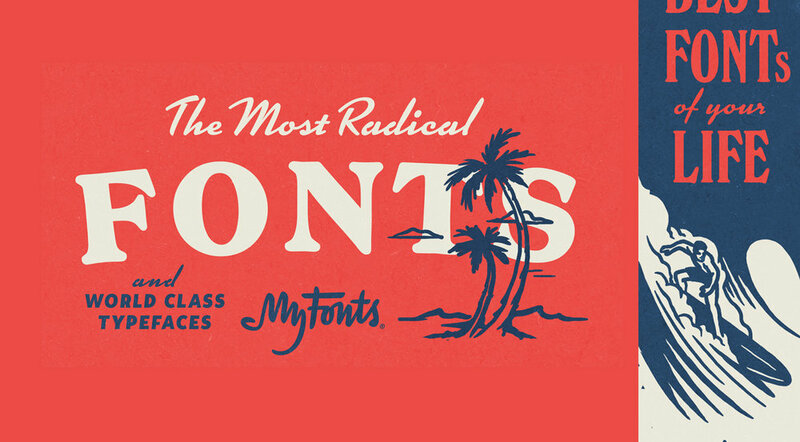 Teamed up once again with the mighty Erik Weikert to create some surf inspired ads for My Fonts. I had the pleasure to team up with the uber talented Erik Weikert to brand Botánica Music Festival held in San Antonio. The goal was to celebrate local flavors and draw international acts to the second largest city in Texas. We created a vibrant and youthful branding that gave the first time festival and attendance of over 12,000. Had a chance to work with the very talented folks at SELECT up in Vermont. They asked me to illustrate a T shirt graphic for The Umphrey's Mcgee 2018 Tour inspired by classic pinball machine art. I was asked to incorporate some the the cities that will be on the tour as well. Snag one up here. I created graphic for the Rockford Peaches for a project. This character was to fierce not to share. Another one from the vaults. I did up this licensing graphic for G.I. Joe Rise of the Cobra. This was done while working at Pilot. Another gem from the vaults. Painted up a jungle themed kids room for a project that never saw the light of day.